Let There Be “Authentic” Light! Isn’t it counterintuitive to bring a fine old house back to its original splendor, only to then hit it with modern lighting? Energy-efficient, super bright, and evenly distributed fluorescents and LEDs leave everything in a room lit for a Hollywood movie. I say counterintuitive, but the photographer and vintage home lover in me wants to say it’s a downright shame to over-light some rooms. Residences from the turn of the last century were built and finished at a time when electric lighting meant orangey, uneven illumination resembling that of the technology’s parent—gaslight. 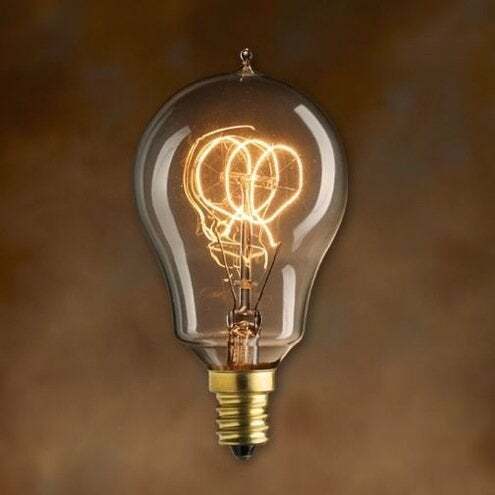 Oddly shaped bulbs with ribbons of filament couldn’t flood rooms. Parts were left in the shadows. And it focused the mind on what was supposed to happen in, say, the dining room. 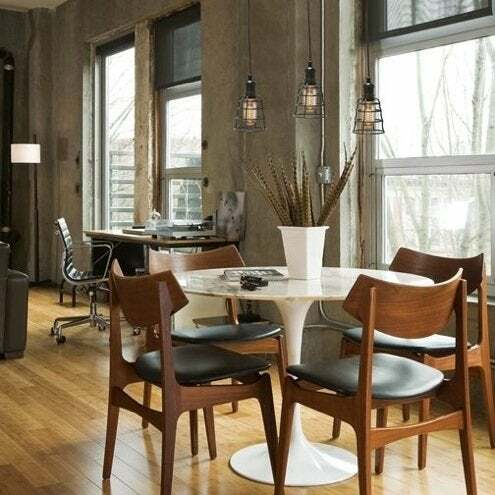 Bulbrite's Nostalgic Tubular bulbs hang in a contemporary dining area. You don’t have to give up that unique ambiance. An outfit called Bulbrite makes 20- to 40-watt bulbs that are every bit as twee as the period fixture you found in a salvage yard. (60-watt bulbs are in the offing.) Fitting that antique fixture with replica bulbs will double the effect you want at a dinner party, guaranteed. 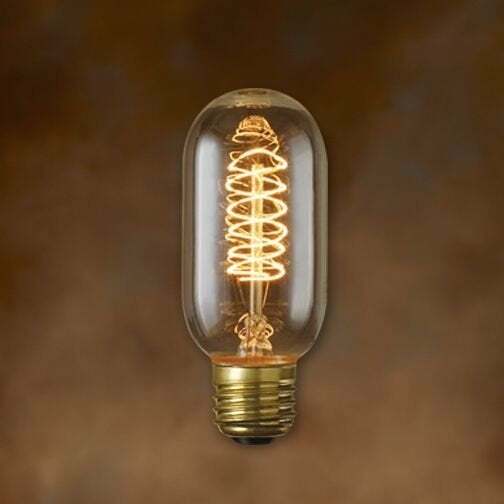 The Bulbrite Nostalgic Collection includes small, threaded bulbs for table lamps as well as standard-sized globes, tubes, and A-shape bulbs. Filaments are especially fun to look at, as they run crazy patterns in their glass-enclosed vacuum world. Some of the bulbs even have charming tips at their far end. The cheapest Bulbrite Nostalgic bulb I could find online was a 40-watt tubular model selling for $6. Yes, for one. Some go for $15 a piece. So even if you could stomach putting one of these bulbs in every fixture in your house, the cost of each (not to mention the amount of energy used by one), means you’re better off using such bulbs in one central fixture (i.e., a dining room chandelier). It could be one of the most stunning visual points of interest you will ever add to your old house. For more on the Bulbrite Nostalgic Collection, click here.